Planet Sun is considered as the most important planet in Astrology. It completes its sojourn from one sign to another in almost 30 days. It is the natural significator of Atman (Soul), Father and Government. It rules Leo Sign and also controls Bile. It is the king of all planets. It becomes strong when posited in its exalted sign Aries, and becomes weak when placed in its debilitated sign Libra. It represents soul of a person and thus, it is considered most important in Indian Astrology. When Sun is strongly placed in a birth chart, it brings status and dignity in one’s life along with success. However; if it is weak or badly placed, it becomes the reason to work hard and face struggles, especially on professional front. In this article, we would like to make you understand how you can get good results from this planet by performing Sun Remedies and enjoy good outcomes in life. But first of all, you should understand some specifications about planet Sun. Sun bestows the native with psychic development, political power, gains from government and higher officials, rewards, personal magnetism, self-reliance, patrimony, nobility, courage and strong bones. On the other hand, when Sun is weak in a birth chart, it bring hurdles during getting a government job, ill-health of father or relationship issues with father, troubles through government sector, bad health, bad name, weak bones, weak heart, bile related health complications, etc. Effects of Sun differentiate as per various houses of the birth chart. When Sun is placed in the Third, Sixth, Tenth and Eleventh Houses of the horoscope, it is considered as the best and strong placement of Sun in a chart. As Sun is the significator of soul, father, government, good health, etc., therefore, it should be well placed and must be strong in a birth chart. Major effect of any planet can be seen during its effective periods, and so, the effects of Sun can mostly be seen during Sun Mahadasha, Antardasha, Pratyantar Dasha and during Sun transit. During these periods, a person might become short tempered, initiative taker and shows leadership abilities. Person having strong Sun might have some reddishness on their face and likes royal lifestyle. Here, we are trying to tell you the simple and best remedies to make Sun stronger in your birth chart, so that you may perform them with ease and bring positive changes in your life. Remedial measures always help you to overcome most of your worries and issues pertaining to different walks of your life. Every planet affects your lives in the most dramatic ways. Whenever the specific period of any planet starts or it transits in a specific house in your horoscope, the planet and its related things surround you, so that you would totally befall under that planet’s effect. Every planet denotes specific color and controls human life in many ways hence; to enjoy a good life, you should use (if a planet is benefic for you) or avoid (if a planet is malefic for you) specific things related to the planet in question. You should wear Red and Saffron colour clothes mostly in your routine life. You should pay respect to your father, government and higher officials. You should also wake up early in the morning before sunrise and see Rising sun with naked eyes. It would fill you with great positive energy and zeal. Prayer is the best way to connect your soul with the almighty. Prayer is like a request to heal you, to keep your morale high and give you strength to overcome all the challenges that you are facing in your life. If you pray, it gives you hope and power to fulfill your deeds with sincerity. There is a specific deity related to each planet hence, you can pray to a specific deity or planet in order to appease them to give you their blessings. To attain blessings of Planet Sun, you should worship God Vishnu or God Sun everyday and recite Aditya Hridaya Stotra or Harivansh Puran. Apart from that, you may also worship Lord Ram, the avatar of Lord Mahavishnu. Fasting is a pure and sacred remedial measure to appease any planet. It is a way to devote yourself fully to the almighty and to purify your internal as well as external body. Fasting gives you willpower that would be helpful in many ways. If you wish to keep yourself fit and appease planets, you may go for the fastings on specific days for a particular planet. If you wish to appease Sun, you should keep fasting on Sundays. According to Vedic Astrology, Daan (donation) is the best way to get rid of malefic effects of a planet as well as to do some good deeds in order to repay for your sins. It should be done with full faith and devotion and without any expectation in return. Daan must be given to a Supatra (a good and suitable person). 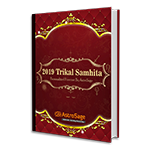 In Vedic Astrology, the planets which are good for you, you should give them power; and the planets that are giving you sufferings, you should perform donation for them, so as to make their effects weak. To get better results of Sun, donations related to this planet should be done on Sunday, in Sun’s Hora and in Sun’s Nakshatra (Krittika, Uttara Phalguni, Uttara Ashadha) before 8 am in the morning. Perform home remedies to strengthen Sun Planet by donating Jaggery, Wheat grains, Copper, Ruby gemstone, Red Flowers, Khas and Mansil, etc. Hymns in Vedas are filled with different types of Mantra. Therefore, Mantras have great significance in Vedic Astrology since ancient times. Every mantra creates specific vibration and energizes a person with the powerful energy of a deity related to that specific planet. Chanting of Surya Mantra is a very good and easy way to appease your planets, however; a correct pronunciation is a must. Apart from that to reach ultimate state, you should chant a mantra in specified number. To appease Planet Sun, you should recite Sun Beej Mantra i.e. Aum Hraam Hreem Hraum Sah Suryaya Namah ! You should chant this mantra for 7000 times. As per Desh-Kaal-Patra Siddhanta, the same should be chanted 4 times of 7000 in Kalyuga, so you should chant Sun Beej Mantra for 28000 times. You can also chant other mantra, i.e. Om Ghrini Suryay Namah ! in situations where a native can not bear the cost of gemstones. Yantras generally are drawn on Bhojpatra (parchment) and worn as a talisman on the body. If it is not possible for you to make it, the same can be engraved on an amulet or pendant. There are Nine planets as per Vedic Astrology and every planet has its own specific yantra. These Yantras are collectively called Navgrah yantra. 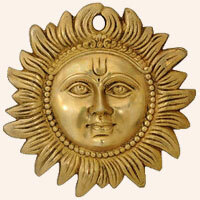 To get auspicious results of Sun, you should wear Surya Yantra. It should be worn during Sunday, in Sun’s Hora and Sun’s Nakshatras. Plant Roots (Jadi) are very auspicious and useful to balance planetary influences in your life. If you wear root of a specific plant, according to Vedic Astrology, it would never give you any bad effect; rather it will improve the positive effect of that specific planet and dilute planetary malefices. To gain blessings of planet Sun, you should wear Bel Mool on Sunday during Sun’s Hora or Sun’s Nakshatra. Teardrops of Lord Shiva are commonly known as Rudraksha. It is highly powerful and used for spiritual upliftment. It provides the native with prosperity, peace, good health, and helps in overcoming challenges in all walks of life. When you wear it, it increases your wit and blesses you with the divine grace of Lord Shiva. Every Planet has different attributes hence, for each planet, there is different Rudraksha. Aum Yem Ham Shroum Ye! Aum Krom Shrom Roum Namah ! Aum Hrim Shrim Ghrini Shrim ! Gemstones plays an important role in remedial astrology. Our divine earth have natural sources of minerals. These minerals and crystals have mysterious powers, healing qualities and spiritual meanings. These are commonly known as Gemstones or Birthstones and are either be precious or semi-precious. Gemstones are being used since ancient times by many kings and royal people. Every planet combined with a specific gemstone, helps in balancing the effect of that planet upon us. For planet Sun, you should wear natural Ruby in your ring finger on Sunday before 8 am in the morning, and during Sun’s Hora or Sun’s Nakshatra in the brighter fortnight of the Lunar Month. Offer Water in a Copper vessel with a pinch of Red Vermilion to Lord Sun everyday or every Sunday. Always pay respect to your father, or father figure and government. Offer water to Shwetark tree and keep this plant as long as you can. We hope that our article about Sun Remedies would help you in various ways. By performing above-mentioned remedies, you would feel calm and relax, and would achieve success in all walks of life. We wish that Lord Sun will make your life more brighter.